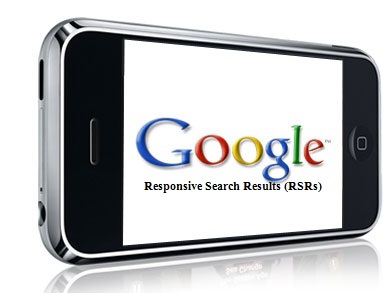 Home » responsive digital marketing » responsive search results » responsive SEO. » responsive web design » “Responsive” is a Key to Succeed in Digital Marketing! “Responsive” is a Key to Succeed in Digital Marketing! Days are gone when a few on-page and off-page tweaks get your websites on Google's top SERP. Responsive digital marketing is a key to survive in a high competitive global market. With frequent update in Google algorithm, and change in business outlook, SEO industry is passing through a tedious phase in search engine market. Today, SEO is not just about ranking and traffic but about understanding the dynamics of search engines and search behavior of smart users. In current scenario, users not necessarily click on a website that tops SERP. They prefer to click a site that gives a rich browsing experience. Today, Gen-X doesn’t like watching full advt. on their LCDs/LEDs. The big challenge of advertisers is to capture the viewers’ attention in less than a second. If not, remote is in their hands. Analogous to this, the mouse is in the hand of users if a website fails to engage them and help them see what they want to show. Being on the top of Google now a day’s matters but what matters more is to meet the users/customers’ expectation matched with their ‘ search queries’. Thus, SEO is not just about top SERP but about search experience optimization (SEO). That’s why Google has gone vocal these days to release Panda, Penguin, EMD, etc. "Care for users than caring more for search engines, for a former care will bring in the latter’s care if optimized in a good faith. These days, consistent change/update in SE algorithm has become a norm. Implicitly, all these updates have one objective that is to show websites that users’ feel happy about, basically that give good users’ experience. Users’ experience is not a subjective term to bypass especially in current scenario. Today, web rarely exits on desktops, and laptops. It has gone beyond these standard devices. Un-standardization of accessibility of a web (width, height, EMC, etc.) across a variety of handsets, smart phones, iPhone, Tables, and other devices, are the key elements to focus on. Google, as of now, does not have clear guidelines for making a website search friendly across all these devises, available in unstandardized sizes except advising us to follow a responsive web design (RWD). Google, with a key focus on Search Experience Optimization, continues to rank a RWD site. Yes, you guessed it right. The search engine will rank a website responsively, and a whole new era of responsive search results (RSRs) is slowly appearing to meet the subjective need of search experience optimization more objectively and more practically than ever before. All these algorithm updates by Google are a well-planned journey to reach the destination –the destination of RSRs. With that said, the whole SEO industry has to metamorphose from following the Google’s standard SEO guidelines to unwritten responsive SEO guidelines. Yes, the time has come for a responsive web, a responsive search result, a responsive web optimization, and a responsive digital marketing!